This week marks National Sleep Awareness week and to kick it off, Blinds Chalet is offering a $25.00 rebate on SlumberShades: the Official Shade of the National Sleep Foundation. The offer stands through the end of March to help encourage Americans to get the sleep they need. Noise reduction shades are manufactured to help insulate homes against weather, light and of course, noise. Some people who deal with constant noise are those that live in high traffic areas, people living under flight patterns and those who just have noisy neighbors. Noise reduction shades help you relax and get a good night’s sleep. They bring a little quiet to a home. Blinds Chalet announces the heat is on. Blinds Chalet is now offering a free inside/outside thermometer for every ComforTrack cell shade sold to keep track of how much warmer cell shades keep homes. 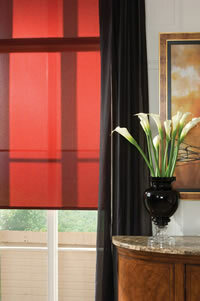 Light filtering blinds are some of the most versatile blinds on the market. They have the best attributes of Roman Shades, Cellular Shades and Venetian blinds all rolled into one. They are some of the best looking insulating blinds available. They are energy efficient, have style and light filtering qualities. Mountain living offers different challenges for decorating than other climates. In the mountains, wood expands and contracts depending on the season. The nights are cold with temperatures dipping into the 30’s and 40’s while daytime temperatures can top 95 degrees. It’s the extremes that appeal to some. Most people who live in the mountains do without air conditioning in order to enjoy the clean, fresh mountain air. As such, it can be a challenge to keep houses and apartments cool during the long summer days, which is why Blinds Chalet announces their best window treatments for mountain living. Cellular window shades have a number of benefits over other window treatments or blinds. The first and most important to consumers is they help save money by insulating homes against drafts. Secondly, some models qualify for a federal tax credit. While there are more than three benefits to installing single or double cell shades, the reasons listed below are the most popular. Summer’s sun is starting to shine. Some places across the country are already seeing temperatures rising over 100 degrees. As the sun’s rays get stronger, it’s important to protect your home. Fabric window shades create a barrier against harmful UV rays that can cause fading or damage to rugs, furniture and art work. Window treatments don’t just filter the sun’s rays; they also help keep warm air out in the summer and warm air in during the colder winter months. Single cell shades are one type of window treatment that helps insulate homes. Just like wood blinds, cell shades come in different sizes. The pleats or cells are designed with a unique hexagonal shape that can vary in size. Honeycomb pleat size is mainly for esthetics however the pleat size will have minimal effect on the insulation of the shades. Our honeycomb cell shades can be classified into three categories or pleat sizes. Small, medium, and large. 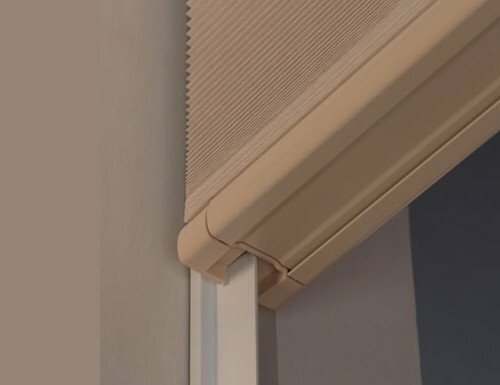 Pleated shades vs cellular shades, what is the difference? They both look the same, right? Why should you choose one over the other and what we recommend. 2012 is quickly approaching and with it are more doom and gloom prophesies. Whether these doomsday stories are true or not, people are looking for more green ways of living. For many, that means replacing traditional window treatments with cellular shades.